Dr. Nimesh D Mehta is a well experienced and trusted Dermatologist in Mumbai. With an immense experience of 27 years, his medical qualifications boast of an MBBS and D.V.D from Seth G.S Medical College and M.D from L.T.M Medical College and Sion Hospital. He is currently based at N M skin & Cosmetology Clinic in Mahim, Mumbai. MBBS and D.V.D Dr. Nimesh D Mehta has also topped his university M.D exams and received The Late Kishinchand Khilnani prize. He has undergone training in basic and advanced botox, lasers, mesotherapy, dermaroller chemical peels and advanced fillers. A faculty member of National and State level Workshops in Dermatology he has also written many articles in textbooks of Dermatosurgery. 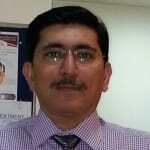 Dr. Nimesh D Mehta is a consultant at S L Raheja (Fortis) Hospital and Lilavati Hospital. He is also highly specialized in hair loss treatments, removal of warts, acne treatment, laser tattoo removal, thread lift treatment, photo-facial and stretch marks treatment. I was shocked to experience the symptoms of fungal infection.I am so much benefitted with Dr Nimesh D Mehta's fungal infection treatment, that i am perfectly fine now. I am so happy that I chose Dr Nimesh D Mehta for my treatment as now I am perfectly fine. The facilities available in the N M Skin & Cosmetology Clinic are very nice. Even though Dr Nimesh D Mehta is not from our city, he is still very famous, so we consulted him. I was having this fungal infection, but the symptoms were not very visible. I was quite impressed with his concept of holistic healing. I was quite concerned, as my health was degrading day by day, but due to Dr Nimesh D Mehta and the fungal infection treatment I didn't lose hope. Thanks to Dr Nimesh D Mehta for the hair loss treatment he gave me has given brilliant results. On the very first day he identified my problem. They took very nice care of me, i never felt that I am in a N M Skin & Cosmetology Clinic. The complete process of hair loss treatment was so painless and quick, and i am so relieved that I chose to consult him. The lab in the N M Skin & Cosmetology Clinic was very clean and well managed. Not only he is very calm and composed, but is also a very understanding doctor. I am so much benefitted with his hair loss treatment, that i am perfectly fine now. I was in severe stress because I had a very Dark skin. drNimesh D Mehta is really like god send person.I am so much benefitted with herDark Skin Treatment that i am perfectly fine now. I owe him a big thanks for making me fine again.he with great ease handled my case. he can be consulted at N M Skin & Cosmetology Clinic in Mumbai. I had a very great experience with dr Nimesh D. Mehta for treatment of athlete's foot . I visited him thrice in a week's time at his clinic N M Skin & Cosmetology Clinic in Mahim. He was also available on phone when I couldn't visit him at the clinic. dr Nimesh D Mehta deserves much appreciation for his ways and efficiency. He can be consulted at N M Skin & Cosmetology Clinic in Mumbai. I took a treatment from him for my problem of acne and pimples. He is quick and Jovial. Thank you for all the advice and regime that you recommended for me. I regained my confidence. And I would recommend you as a dermatologist to anyone any number of times. Thank u immensely!